Truck accidents account for a very small portion of the total motor vehicle accidents on the highway—only around 3%, in fact. However, they’re also growing by about 1% every year. That means there are 20% more truck accidents now than there were 20 years ago. Over 140,000 people are seriously injured across the country in these incidents every year. When you are involved in a truck accident, the results can be catastrophic. The sheer size, speed, and momentum of these vehicles can cause untold damage upon impact. Collecting compensation when you’re hurt can be very tricky, however. Explore the various truck accident causes which can complicate your case, and learn how having a truck accident attorney is vital to getting compensation. 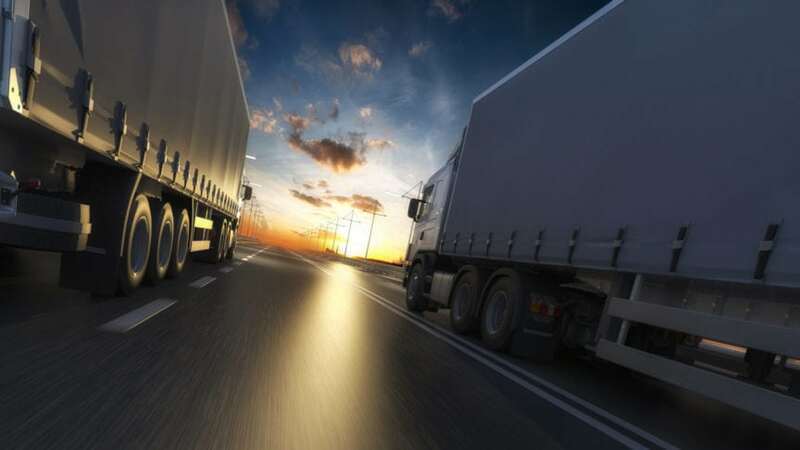 There are many different potential truck accident causes, and these are the exact reason your case can be so complex. In many cases, the driver holds some responsibility. They could be tired and overworked. They might be distracted from eating and drinking or using a mobile device. They could even be intoxicated. Sometimes bad road conditions result in accidents due to gravel or other rough terrain, oil slicks or construction. In other cases, a part on the truck fails, like improperly calibrated brakes, tires that blow out when they shouldn’t, or even faulty engine or transmission parts. In still other circumstances, improperly secured cargo could shift and throw off the entire balance of the truck. The key factor in any vehicular accident is negligence—that is, someone acted in an irresponsible manner, that action (or inaction) led to an accident, and it was that accident in which you got hurt. The problem with many truck accidents is nailing down who exactly holds responsibility. Consider the above causes. The range of people who might hold blame for your accident include the driver, the owner of the truck, the trucking company for whom the driver works, the maintenance crew who have to keep the truck in working order, the manufacturer of faulty parts, and even the shipping or loading company who put the cargo in the truck. With so many potential parties involved, the case can muddy very fast. Everyone who is potentially involved in the case is likely going to start blaming each other for what’s gone wrong. The trucking company will look to wash their hands of the whole thing, claiming the driver is an independent contractor (hint: Federal law doesn’t allow them to do this). The shipping company will blame the loading company. The loading company will blame bad brakes. At some point, everyone will likely turn on the victim in the accident. It’s all a play to avoid paying out the injury claim. When this happens, you need someone in your corner who can fight for your rights. If you’ve been hurt in a truck accident in Colorado Springs, Heuser & Heuser, LLP, can help you get compensation for your medical bills, lost wages, emotional trauma, pain and suffering and more. Give us a call for a free consultation about your case today. Blaine Barrilleaux is a truck accident lawyer in Lafayette, Louisiana and the owner of the Law Offices of Blaine Barrilleaux. Blaine has been practicing personal injury law for more than 20 years and is a member of the Louisiana Trial Lawyers Association, the American Trial Lawyers Association, and the American Association for Justice.